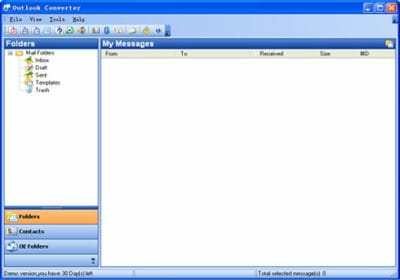 ABC Amber Outlook Converter is just an e-mail converter. It supports many formats such as: PDF, HTML, CHM, RTF, HLP, TXT, Ansi, TXT Unicode, DOC, etc... You can convert one or more files at the same time. The software supports 50 languages. It is a shareware version and expires after 30 days of use. Latest update on November 20, 2016 at 06:43 PM.